Support Pedals are fitted when restraint is required. 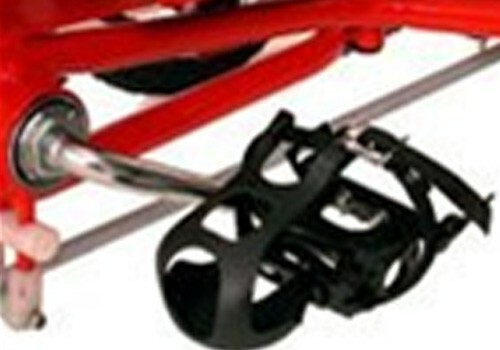 They are equipped with toe clips and easy to adjust straps, allowing for quick release. 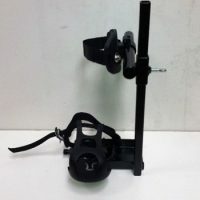 The Knee Abductor helps to stop the knees from turning in. 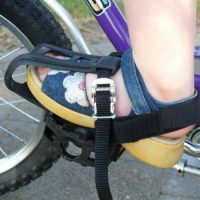 This extra strap fitted to the heel of the support pedal helps prevent the rider from pulling his or her foot out of the toe clip. 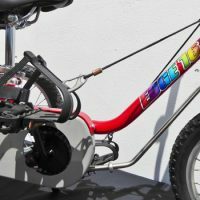 The Foot Leveller keeps the foot in a near horizontal position for the whole rotation of the pedals, still allowing full movement. 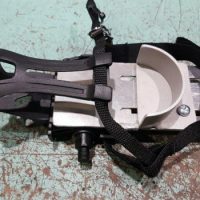 The Curved Heel Cup is fully adjustable and limits movement of the foot.